This spring the Toboni Group pulled off a first – we completed two projects on the exact same day. 132 Presidio is an exquisite three unit building. 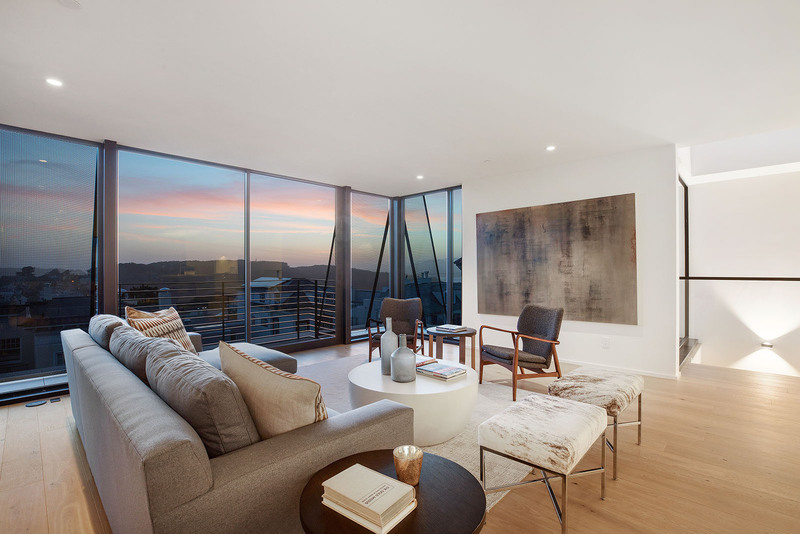 The top two levels combine in an incredible penthouse that is truly unique to San Francisco as it boasts nearly 360 degree views. The project involved the installation of a perforated mansard roof system that was intended to replicate the building’s original contour. The owners had a great eye for architectural were thrilled with the design and installation of this unique perforated steel system. 2528 Union Street was completed on the same day. From the first day of demolition until the last day of cleaning took an astonishingly quick 9 months. 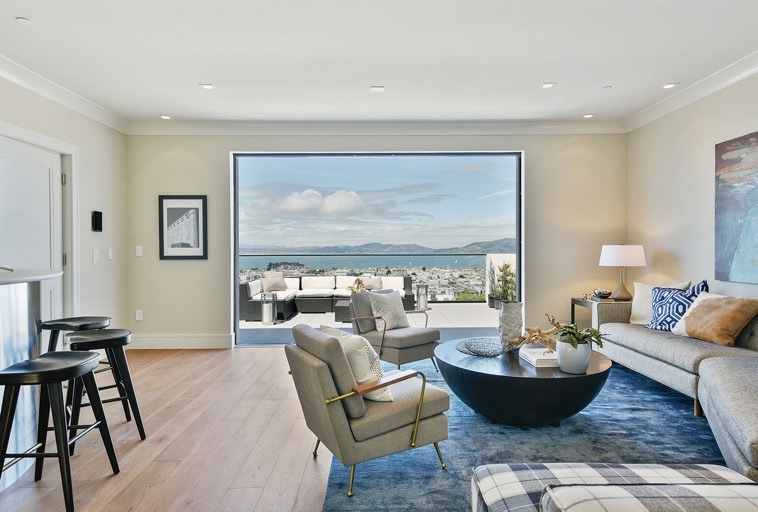 This exquisite 6,000 square foot single family home displayed drop dead views of the Golden Gate Bridge and Alcatraz.